For covers and five- to seven-page previews of Marvel Comics titles arriving in stores on Nov. 25, CLICK HERE. 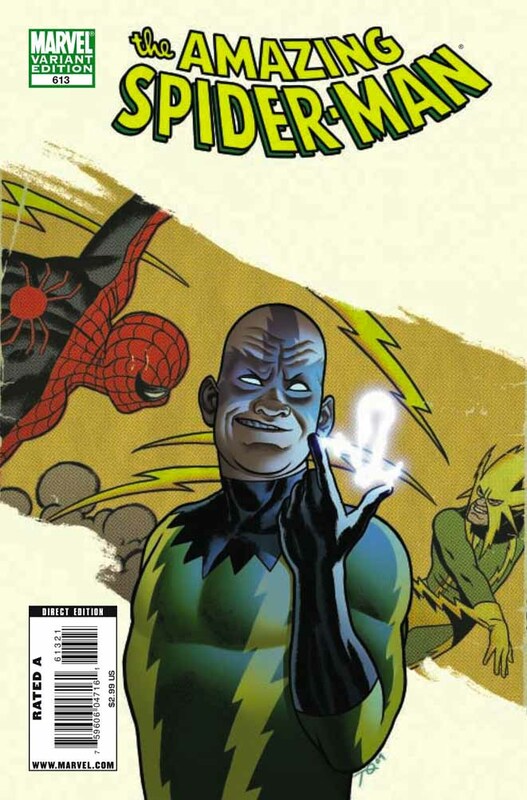 Titles include Amazing Spider-Man #613, Dark Avengers: Ares #2, Avengers: The Initiative #30, Criminal: The Sinners #2, Dark Wolverine #80, Ender's Shadow: Command School #3, Fantastic Four #573, Incredible Hercules #138, Hulk #17, Immortal Weapons #5, Marvel Adventures Spider-Man #57, Models, Inc. #4, Ms. Marvel #47, Powers #1, Secret Warriors #10, Son of Hulk #17, Spider-Man: The Clone Saga #3, Giant-Size Thor Finale #1, Ultimate Comics Avengers #4, Uncanny X-Men #517, Web of Spider-Man #2, Wolverine: First Class #21 and X-Men Forever #12. Top Cow Productions has released its solicitations for February. 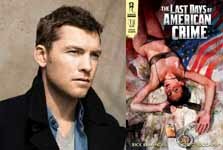 Radical Publishing has announced that Sam Worthington has signed on as both star and producer for the film adaptation of The Last Days of American Crime, based off of Radical Publishing's comic book series, The Last Days of American Crime. Worthington will produce along with partner, Michael Schwarz, and Radical's president and publisher, Barry Levine. Property creator Rick Remender will be executive producer/screenwriter for the film and Radical's executive vice president, Jesse Berger, will executive produce. 'The Last Days of American Crime is set in the not-too-distant future, as a final response to terrorism and crime, the U.S. government plans in secret to broadcast a signal making it impossible for anyone to knowingly commit unlawful acts. To keep this from the public, the government creates a distraction, installing a new currency system using digital charge cards. Graham Bricke, a petty criminal never quite able to hit the big score, intends to steal one of the charging stations, skip the country and live off unlimited funds for the rest of his life. But the media has leaked news of the anti-crime signal one week before it was to go live... and now Graham and his team have just a few days to turn the heist of the century into the last crime in American history." "I had met Sam's producing partner, Michael Schwarz, at the recent San Diego Comic-Con, who loved the concept for The Last Days of American Crime," Levine said. "I figured that since Sam had done three tentpole movies back-to-back with Terminator Salvation, Avatar and Clash of the Titans, that he would want the more character-driven role of Kevin Cash, the sociopathic partner to Graham Bricke. Michael had set up a meeting between Sam, CAA agents Kimberly Hodgert and Jon Levin along with myself to discuss Last Days. During the two-hour meeting, we hit it off and Sam had committed to both star and produce." Said Remender: "Sam is the perfect guy for this. He's a scene stealer, made up in equal parts charm and intelligence. Seeing him play violent sociopath safe cracker Kevin Cash will be a treat all the world will enjoy." NBC has released a video interview with Hayden Panettiere, who plays Claire in Heroes. Panettiere talks about Monday's new episode, "Thanksgiving." For the first part of the interview, CLICK HERE. For the second part of the interview, CLICK HERE. For covers and six-page previews of BOOM! Studios arriving in stores on Nov. 25, CLICK HERE. Titles include Die Hard: Year One #3, Monsters, Inc. #3, Muppet Peter Pan #3 and Uncle Scrooge #385. For posted previews of Top Cow Productions titles arriving in stores on Nov. 25, CLICK HERE. For posted previews of Dark Horse titles arriving in stores on Nov. 25, CLICK HERE. For posted previews of Archie Comics titles arriving in stores on Nov. 25, CLICK HERE. THE SUPER HERO SQUAD: "INVADER FROM THE DARK DIMENSION!" Marvel Animation has released an image and description from "Invader From The Dark Dimension!," the episode of The Super Hero Squad Show that premieres on Cartoon Network on Saturday at 7:30 p.m.
"Baron Mordo transforms Iron Man into the evil 'Iron Menace,' a deadly threat who overcomes both the Lethal Legion and the Squad! But when Silver Surfer and Hulk team with Dr Strange and Valkyrie to form The Defenders, the forces of good will 'Hero Up!' like never before!" Michelle Trachtenberg -- from Mercy, Gossip Girl and Buffy the Vampire Slayer -- reprises her role as Valkyrie. Click on the thumbnail for a larger image and look for more The Super Hero Squad Show soon here in The Continuum. * Marvel Studios has announced that Idris Elba will play Heimdall in the Thor movie. Elba will be seen as Roque in The Losers. * Marvel Comics has announced a second printing for the sold-out Vengeance of the Moon Knight #3. the second printing will feature a black-and-white version of the original cover by artist Leinil Francis Yu and will be in stores on Dec. 23. * FX will air X-Men: The Last Stand on Monday, Nov. 30 at 8 p.m. and Tuesday, Dec. 1 at 4 p.m.
* Sunday, November 15: Moonstone Books for March and Smallville. * Saturday, November 14: Radical Publishing for February, The Simpsons, Oni Press' Cold City and Oni Press First Looks. 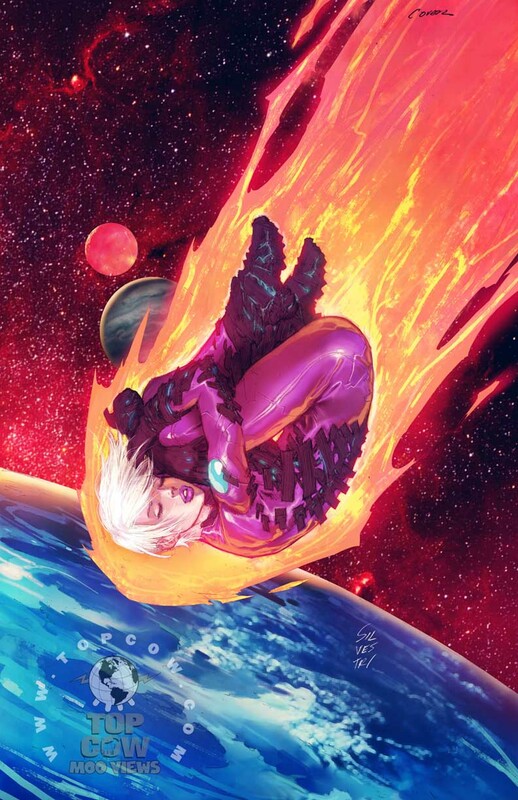 * Friday, November 13: Marvel Comics First Looks, BOOM! Studios First Looks, Image Comics First Looks and The Super Hero Squad Show. * Thursday, November 12: Heroes, Top Cow Productions First Looks, Marvel Comics First Looks and Marvel Comics roundup. * Wednesday, November 11: Marvel Comics First Looks, Dark Horse Comics First Looks, Archie Comics First Looks, Batman: The Brave and the Bold, The Super Hero Squad Show and Star Wars: The Clone Wars. * Tuesday, November 10: Batman: The Brave and The Bold, The Phantom/Captain Action, DC Comics First Looks and Marvel Comics roundup. * Monday, November 9: Dark Horse Comics for February, Heroes, The Spectacular Spider-Man, Cartoon Network episodes, DC Comics First Looks, Image Comics First Looks, Marvel Comics First Looks and Family Guy. * Sunday, November 8: IDW Publishing First Looks and Marvel Comics First Looks. * Saturday, November 7: BOOM! Studios First Looks, Dynamite Entertainment First Looks and Oni Press First Looks. * Friday, November 6: Smallville, Marvel Comics First Looks and The Super Hero Squad Show. * Thursday, November 5: Heroes, Image United, Top Cow Productions First Looks, DC Comics First Looks, Marvel Comics roundup and Halo Legends. * Wednesday, November 4: Bluewater Productions for February, Heroes, The Simpsons, Dark Horse Comics First Looks, Archie Comics First Looks and Marvel Comics First Looks. * Tuesday, November 3: Star Wars: The Clone Wars, Harris Comics First Looks, DC Comics First Looks, Archaia Comics First Looks, Spawn, Superman, Smallville and S.E. Hinton writes for Bluewater Productions. * Monday, November 2: Batman: The Brave and the Bold, Marvel Comics First Looks, DC Comics First Looks, Dynamite Entertainment First Looks and Image Comics First Looks. * Sunday, November 1: Zenescope Entertainment for January and IDW Publishing's Polly and Her Pals. * Saturday, October 31: Oni Press First Looks and DC Comics First Looks. * Friday, October 30: Marvel Comics First Looks, BOOM! Studios First Looks, Bluewater Productions First Looks, Anthony Hopkins in Thor movie and The Super Hero Squad Show. * Thursday, October 29: Image Comics First Looks, Marel Comics First Looks, Ben 10: Alien Swarm, Heroes and Antarctic Press for January. * Wednesday, October 28: BOOM! Studios for January, Aspen Comics for January, Arcana Studio for January, Smallville, Batman: The Brave and the Bold, Marvel Comics First Looks, Dark Horse Comics First Looks, Archie Comics First Looks and Fantagraphics' collections. 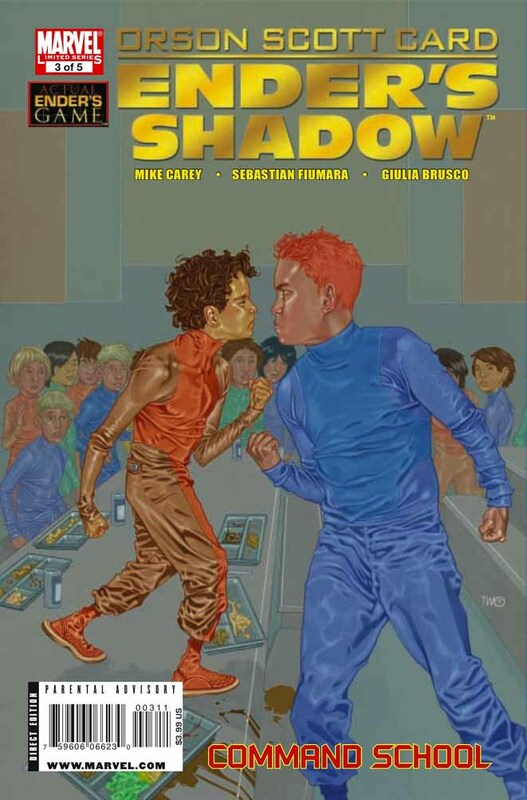 * Tuesday, October 27: Bluewater's Michael Jackson book gets second printing, DC Comics roundup, Avatar Press for January, Ape Entertainment for January, Family Guy, IDW Publishing's Archie collections, DC Comics First Looks and Archaia Comics First Looks. * Monday, October 26: IDW Publishing for January, Dynamite Entertainment for January, Spike TV SCREAM 2009, The Spectacular Spider-Man, The Simpsons, Dynamite Entertainment, First Looks, DC Comics First Looks, Marvel Comics First Looks and Image Comics' Proof. * Sunday, October 25: Devil's Due Publishing for January, Spike TV SCREAM 2009 red carpet interviews, Heroes and Smallville. * Saturday, October 24: Spike TV SCREAM 2009 red carpet interviews and Bongo Comics for January. * Friday, October 23: Battlestar Galactica's Kate Vernon, Brian Pulido, Marvel Comics First Looks, Dollhouse, Bluewater Productions First Looks, Marvel: Ultimate Alliance 2, Heroes and 30 Days of Night: Dark Days. 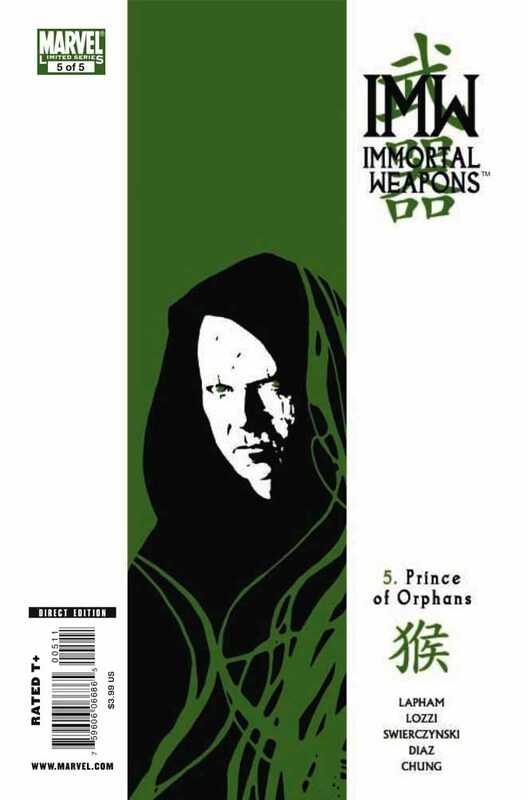 * Thursday, October 22: Image Comics for January, Red 5 Comics for January, Image Comics First Looks, BOOM! Studios First Looks, Blue Mountain State cast, Brian Pulido on Lady Death's return and Astro Boy. * Wednesday, October 21: Family Guy for November, Radical Publishing for January, Spike TV SCREAM 2009, Nickelodeon acquires Teenage Mutant Ninja Turtles, Dark Horse Comics First Looks, Archie Comics First Looks, Ape Entertainment First Looks, Marvel Comics First Looks and Image Comics roundup. * Tuesday, October 20: Marvel Comics for January, DC Comics First Looks, IDW Publishing First Looks, Marvel Comics First Looks, Batman: The Brave and the Bold and Smallville. * Monday, October 19: DC Comics for January, Archie Comics for January, Marvel Comics First Looks and The Super Hero Squad Show.